Here are some pics of the pride of my calculator watch collection, the Seiko C153 calculator watch, complete with stylus, box, outer box,manual and receipt from 1980. And a group of my early seiko LCD and LCD calculator watches. 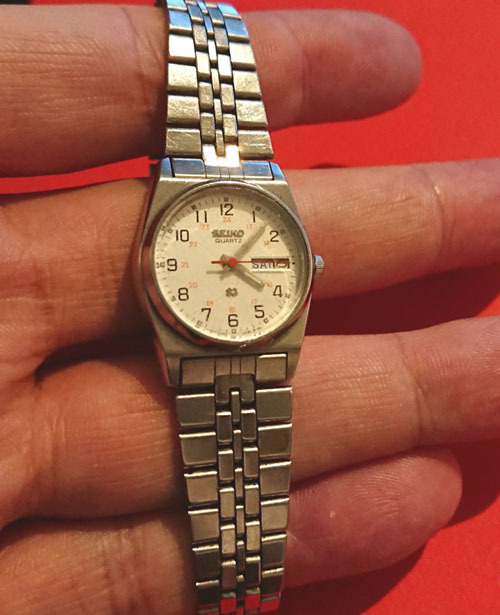 Some Seiko C359 calculator watches. A bunch more from my non-LCD collection starting with a few bellmatic alarm watches. My daily watch, the 7T32-6A5A from 1992.